The work of managing mankind is divided into three stages, which means that the work of saving mankind is divided into three stages. These three stages do not include the work of creating the world, but are rather the three stages of the work of the Age of Law, the Age of Grace, and the Age of Kingdom. The work of creating the world was the work of producing the whole of mankind. It was not the work of saving mankind, and bears no relation to the work of saving mankind, for when the world was created mankind had not been corrupted by Satan, and so there was no need to carry out the work of mankind’s salvation. The work of saving mankind only began once mankind had been corrupted, and so the work of managing mankind also only began once mankind had been corrupted. In other words, God’s management of man began as a result of the work of saving mankind, and did not arise from the work of creating the world. There could be no work of managing mankind without the corrupt disposition of mankind, and so the work of managing mankind includes three parts, rather than four stages, or four ages. Only this is the correct way to refer to God’s management of mankind. When the final age comes to a close, the work of managing mankind will have come to a complete end. The conclusion of the work of management means that the work of saving all mankind has been completely finished, and that mankind has reached his journey’s end. Without the work of saving all mankind, the work of managing mankind would not exist, nor would there be the three stages of work. It was precisely because of mankind’s depravity, and because mankind was in such urgent need of salvation, that Jehovah concluded the creation of the world and began the work of the Age of Law. Only then did the work of managing mankind begin, which means that only then did the work of saving mankind begin. “Managing mankind” does not mean guiding the life of newly-created mankind on earth (which is to say, a mankind that had yet to be corrupted). Rather, it is the salvation of a mankind that has been corrupted by Satan, which is to say, it is the changing of this corrupt mankind. This is the meaning of managing mankind. The work of saving mankind does not include the work of creating the world, and so the work of managing mankind does not include the work of creating the world, and only includes three stages of work that are separate from the world’s creation. To understand the work of managing mankind, it is necessary to be aware of the history of the three stages of work—this is what everyone must be aware of in order to be saved. As creatures of God, you should recognize that man was created by God, and should recognize the source of mankind’s corruption, and, moreover, should recognize the process of man’s salvation. If you only know how to act according to doctrine in order to gain God’s favor, but have no inkling of how God saves mankind, or of the source of mankind’s corruption, then this is what you lack as a creature of God. You should not only be satisfied with understanding those truths that can be put into practice, while remaining ignorant of the wider scope of God’s management work—if this is the case, then you are too dogmatic. The three stages of work are the inside story of God’s management of man, the advent of the gospel of the entire universe, the greatest mystery among all mankind, and are also the foundation of spreading the gospel. If you only focus on understanding simple truths that relate to your life, and know nothing of this, the greatest of all mysteries and visions, then is your life not akin to a defective product, good for nothing except being looked at? The three stages of work are at the heart of God’s entire management, and in them are expressed the disposition of God and what He is. Those who do not know of the three stages of God’s work are incapable of realizing how God expresses His disposition, nor do they know the wisdom of God’s work, and they remain ignorant of the many ways in which He saves mankind, and His will for the whole of mankind. The three stages of work are the full expression of the work of saving mankind. Those who do not know the three stages of work will be ignorant of the various methods and principles of the Holy Spirit’s work; those who only rigidly stick to doctrine that remains from one stage of work are people who limit God to doctrine, and whose belief in God is vague and uncertain. Such people will never receive God’s salvation. Only the three stages of God’s work can fully express the entirety of God’s disposition, and completely express God’s intention of saving the whole of mankind, and the entire process of mankind’s salvation. This is proof that He has defeated Satan and gained mankind, it is proof of God’s victory, and is the expression of God’s entire disposition. Those who understand but one stage of the three stages of God’s work only know part of God’s disposition. In the conception of man, it is easy for this single stage of work to become doctrine, it becomes likely that man will establish rules about God, and man uses this single part of God’s disposition as a representation of God’s entire disposition. Furthermore, much of man’s imagination is mixed within, such that he rigidly constrains the disposition, being, and wisdom of God, as well as the principles of God’s work, within limited parameters, believing that if God was like this once, then He will remain the same for all time, and will never ever change. Only those who know and appreciate the three stages of work can fully and accurately know God. At the very least, they will not define God as the God of the Israelites, or the Jews, and will not see Him as a God who will be forever nailed to the cross for the sake of man. If you only come to know God from one stage of His work, then your knowledge is too, too little. Your knowledge is but a drop in the ocean. If not, why would many of the religious old guard nail God to the cross alive? Is it not because man confines God within certain parameters? Do many people not oppose God and obstruct the work of the Holy Spirit because they do not know the varied and diverse work of God, and, furthermore, because they possess but a smidgeon of knowledge and doctrine with which to measure the work of the Holy Spirit? Though the experiences of such people are superficial, they are arrogant and indulgent in nature, and they regard the work of the Holy Spirit with contempt, ignore the disciplines of the Holy Spirit and, moreover, use their trivial old arguments to “confirm” the work of the Holy Spirit. They also put on an act, and are wholly convinced of their own learning and erudition, and that they are able to travel across the world. Are such people not those who are despised and rejected by the Holy Spirit, and will they not be eliminated by the new age? Are not those who come before God and openly oppose Him myopic little people, who are merely trying to show how clever they are? With but a meager knowledge of the Bible, they try to straddle the world’s “academia,” with but a superficial doctrine to teach people, they try to reverse the work of the Holy Spirit, and attempt to make it revolve around their own thought process, and short-sighted as they are, they try to behold in one glance 6,000 years of God’s work. Do these people have any reason to speak of? In fact, the greater people’s knowledge of God, the slower they are to judge His work. Furthermore, they only talk a little of their knowledge of God’s work today, but they are not rash in their judgments. The less people know of God, the more arrogant and overconfident they are, and the more wantonly they proclaim God’s being—yet they only talk of theory, and offer no real evidence. Such people are of no value whatsoever. Those who see the work of the Holy Spirit as a game are frivolous! Those who are not cautious when they encounter the new work of the Holy Spirit, who run their mouths off, are quick to judge, who give free rein to their natural instinct to deny the rightness of the Holy Spirit’s work, and also insult and blaspheme it—are such disrespectful people not ignorant of the Holy Spirit’s work? Are they not, furthermore, the ones of arrogance, inherently proud and ungovernable? Even if a day comes when such people accept the new work of the Holy Spirit, still God will not tolerate of them. Not only do they look down upon those who work for God, but also blaspheme against God Himself. Such foolhardy people will not be forgiven, either in this age or the age to come and they shall forever perish in hell! Such disrespectful, indulgent people are pretending to believe in God, and the more they do so, the more likely they are to offend God’s administrative decrees. Do not all those arrogant ones who are innately unbridled, and have never obeyed anyone, all walk upon this path? Do they not oppose God day after day, He who is always new and never old? Today, you should understand the importance of why you must know the three stages of God’s work. The words I say are of benefit to you, and are not just empty talk. If you rush things through, will not all My hard work be for naught? Each of you should know your own nature. Most people are skilled at argument, the answers to theoretical questions roll off your tongue, but you have nothing to say to questions involving substance. Even today, you still indulge in frivolous conversation, incapable of changing your old nature, and most of you have no intention of changing the way in which you pursue in order to achieve higher truth, only living your lives half-heartedly. How are such people capable of following God to the very end? Even if you do make it to the end of the path, what benefit will it be to you? It is better to change your ideas before it is too late, either truly pursuing, or else throwing in the towel early. As time goes on you will become a freeloading parasite—are you willing to play such a low and ignoble role? The three stages of work are a record of the entire work of God, they are a record of God’s salvation of mankind, and they are not imaginary. If you truly wish to seek a knowledge of God’s entire disposition, then you must know the three stages of work carried out by God, and, what’s more, you must not omit any stage. This is the minimum that must be achieved by those who seek to know God. Man himself cannot come up with a true knowledge of God. It is not something that man himself can imagine, nor is it the consequence of the Holy Spirit’s especial favor of one person. Instead, it is a knowledge that comes after man has experienced the work of God, and is a knowledge of God that only comes after having experienced the facts of God’s work. Such a knowledge cannot be achieved on a whim, nor is it something that can be taught. It is wholly related to personal experience. 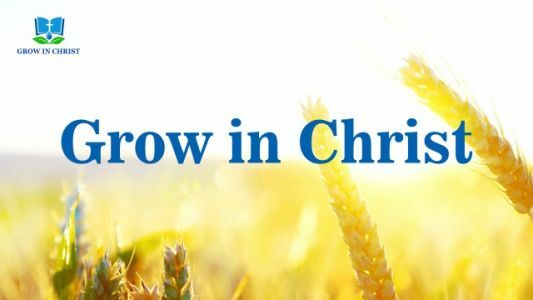 God’s salvation of mankind is at the core of these three stages of work, yet within the work of salvation are included several methods of working and means by which God’s disposition is expressed. This is what is most difficult for man to identify, and is difficult for man to understand. The separation of the ages, changes in God’s work, changes in the location of work, changes in the recipient of this work, and so on—these are all included in the three stages of work. In particular, the difference in the Holy Spirit’s way of working, as well as alterations in God’s disposition, image, name, identity, or other changes, are all part of the three stages of work. One stage of work can only represent one part, and is limited within a certain scope. It does not relate to the separation of the ages, or changes in God’s work, much less to the other aspects. This is a clearly obvious fact. The three stages of work are the entirety of God’s work in saving mankind. 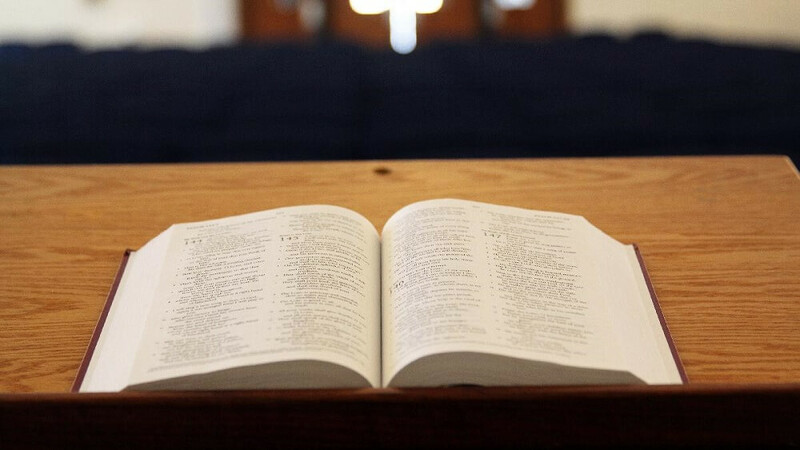 Man must know God’s work and God’s disposition in the work of salvation, and without this fact, your knowledge of God is but hollow words, nothing more than armchair pontification. Such knowledge can neither convince nor conquer man, such knowledge is out of line with reality, and is not the truth. It may be very plentiful, and pleasing to the ear, but if it is at odds with God’s inherent disposition, then God will not spare you. Not only will He not commend your knowledge, but He will also take retribution on you for being a sinner who blasphemed Him. The words of knowing God are not spoken lightly. Though you may be glib and silver-tongued, and your words can bring the dead to life, and make the living dead, still you are out of your depth when it comes to speaking of the knowledge of God. God is not someone that you can judge rashly, or casually praise, or nonchalantly denigrate. You praise anyone and everyone, yet you struggle to the right words to describe the great virtuousness and graciousness of God—and this is what is learned by every loser. Even though there are many language specialists who are capable of describing God, the accuracy of what they describe is but a hundredth of the truth spoken by people who belong to God and have only a limited vocabulary, yet possess rich experience. Thus it can be seen that knowledge of God lies in accuracy and actuality, and not in the clever use of words or a rich vocabulary. Man’s knowledge and the knowledge of God are completely unrelated. The lesson of knowing God is higher than any of the natural sciences of mankind. It is a lesson that can only be achieved by an extremely small number of those who seek to know God, and cannot be achieved by just any person of talent. And so you must not view knowing God and pursuing the truth as if they can be achieved by a mere child. Perhaps you have been completely successful in your family life, or your career, or in your marriage, but when it comes to the truth, and the lesson of knowing God, you have nothing to show for yourself, you have achieved nothing. Putting the truth into practice, it can be said, is of great difficulty for you, and knowing God is an even greater problem. This is your difficulty, and is also the difficulty faced by the whole of mankind. Among those who have had some achievements in the cause of knowing God, there are almost none who are up to the standard. Man does not know what it means to know God, or why it is necessary to know God, or what extent counts as knowing God. This is what is so confounding to mankind, and is quite simply the biggest riddle faced by mankind—and no one is capable of answering this question, nor is anyone willing to answer this question, because, to date, no one among mankind has had any success in the study of this work. Perhaps, when the riddle of the three stages of work is made known to mankind, there will appear in succession a group of talents who know God. Of course, I hope that is the case, and, what’s more, I am in the process of carrying out this work, and hope to see the appearance of more such talents in the near future. They will become those who bear testimony to the fact of these three stages of work, and, of course, will also be the first to bear testimony to these three stages of work. If there are not such talents, on the day that God’s work comes to an end, or there are only one or two, and they have personally accepted being made perfect by God incarnate, then nothing is more distressing and regrettable than this—although it is only the worst case scenario. Whatever the case, I still hope that those who truly pursue can gain this blessing. Since the beginning of time, there has never before been work such as this, such an undertaking has never occurred in the history of human development. If you can truly become one of the first of those who know God, would this not be the highest honor among all creatures? Would any creature among mankind be more commended by God? Such work is not easy to achieve, but will ultimately still reap rewards. Regardless of their gender or nationality, all those who are capable of achieving the knowledge of God will, in the end, receive God’s greatest honor, and will be the only ones that possess the authority of God. This is the work of today, and is also the work of the future; it is the last, and highest work to be accomplished in 6,000 years of work, and is a way of working that reveals each category of man. Through the work of causing man to know God, the different ranks of man are revealed: Those who know God are qualified to receive God’s blessings and accept His promises, while those who do not know God are unqualified to receive God’s blessings and accept His promises. Those who know God are the intimates of God, and those who do not know God cannot be called the intimates of God; the intimates of God can receive any of God’s blessings, but those who are not His intimates are not worthy of any of His work. Whether it be tribulations, refinement, or judgment, all are for the sake of allowing man to ultimately achieve a knowledge of God and so that man may submit to God. This is the only effect that will ultimately be achieved. Nothing of the three stages of work is hidden, and this is advantageous to man’s knowledge of God, and helps man gain a more complete and thorough knowledge of God. All this work is of benefit to man. Almighty God says, “To study such a thing is not difficult, but requires each of us to know this truth: He who is God’s incarnation shall hold the substance of God, and He who is God’s incarnation shall hold the expression of God. Can you express God’s disposition of the age in suitable language that has age significance? Through your experience of God’s work, can you describe in detail the disposition of God? How can you describe it fittingly, appropriately? So that through this, others can learn about your experiences. How will you..
Today we will continue our fellowship about the topic of “God Himself, the Unique.” We have already had two fellowships on this subject, the first concerning God’s authority, and the second concerning God’s righteous disposition. 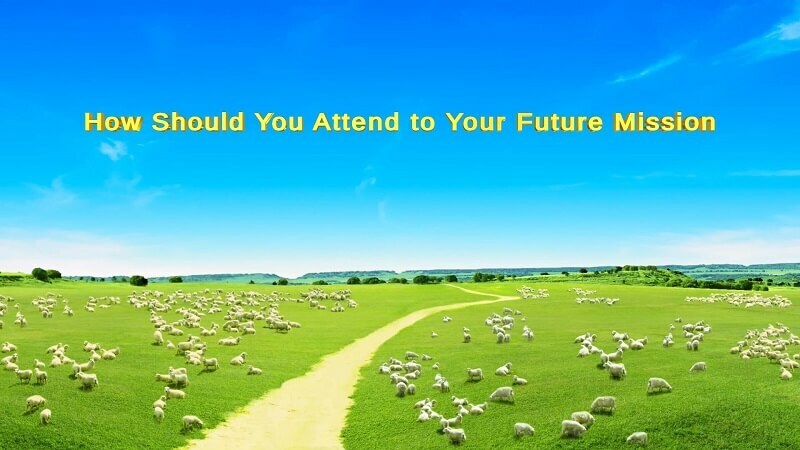 After listening to these two fellowships, have you gained a new understanding of God’s identity,..
About Job Having learned of how Job went through the trials, most of you will likely want to know more details about Job himself, particularly with regard to the secret by which he gained God’s praise. So today, let us talk about Job! In Job’s Daily Life We See His..